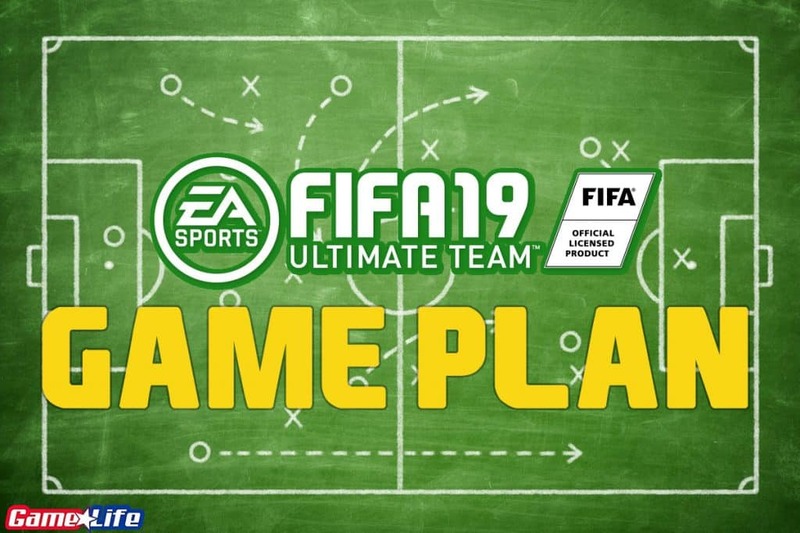 There are a lot of FIFA 19 players that are struggling to reach the top divisions, and if you’re one of those players than this guide was made for you. Most of the time when things are not going your way in FIFA 19 you believe that your game is off, or perhaps you even blame your internet connection / console model for your loses. All of these beliefs are valid reasons that can definitely impact a player. However, looking at the bigger picture here, these are all excuses we make on a daily basis when we play FIFA. There are plenty of things you can do in order to improve your results in FIFA Ultimate Team. Here are some of the best tips you can get for a better gaming experience and compete with the best. Many gamers think that the only way to get more coins is to play better and win as many games as possible. These reasons are part of the equation, but there’s more to it than meets the eye. You can actually earn a lot of coins if you take care of these tiny things you may consider not important. They can make you a bunch of coins, but you need to change your attitude. The fastest and simplest way to get coins is to buy them with real money not crypto as we’re not there yet, but rather fiat). But that is not something that real gamer will do. Gaming should be engaging. fun and challenging. If you like FIFA only because of gameplay, perhaps it’s not a bad idea to shorten your path to best FIFA UT cards, but you will probably get bored quickly. So before reading these tips, you need to ask yourself whether are you’re ready to put some effort into the game or not. All following tips require time and labor, but at the end of the day, it is entertaining and enjoyable. Challenges are there for reason. They will make your life in the beginning a lot easier. Some of the challenges and tasks will give you notable rewards. 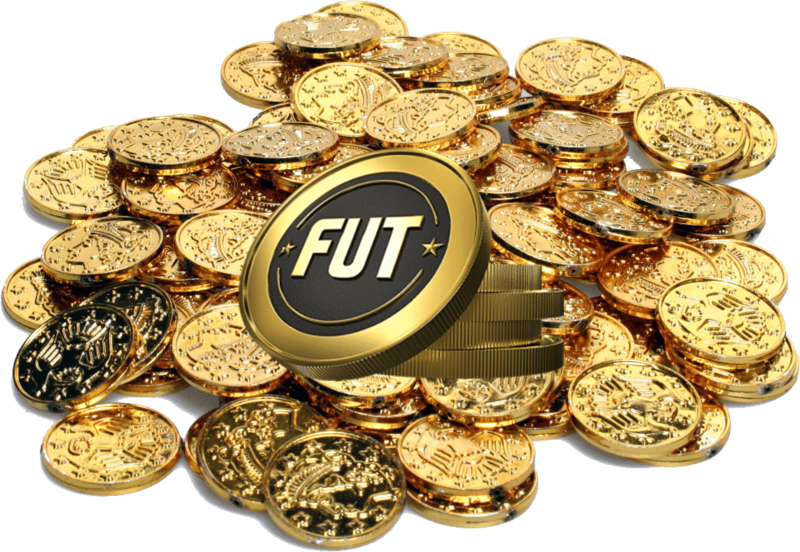 You will receive packs, coins, players etc, all useful stuff that can help you to increase the number of coins. Challenges are interesting as they are part of the game. You should always redeem rewards from a catalog, no matter if you get a silver loan player or 99+ contract. This can save you a lot of coins. Also, redeeming a coins multipliers is mandatory. It will raise a number of coins you get per match. Two hundred coins seem to be silly, but if you multiply with 10 games, you get 2000 coins. Do you know which players you can buy with 2000 coins? For example, you can purchase Lucas Vazquez and Lucas Torreira for that money. Great players right? Many gamers make this common mistake. They all sell bronze cards because they don’t want to go through the process of listing them for transfer (time consuming), or they just think it is not worth it. Well, people buy these bronze players for many purposes. The most usual is for Squad Building Challenges (SBC). The minimum you can receive for a bronze player is 200 coins, and bronze packs usually contain 3 to 4 bronze players. That means you can even make a profit from buying bronze packs. You may get up to 600 coins (if you think it is not so much read the previous tip again). This tip applies to all items (club items mostly) that you don’t need. Figuring out the right value is the important part of any trade, so it is in the FIFA UT Transfers. Before selling or buying any player, you just have to check the average prices of the players. Look for the highest and lowest price and set the right price for a player you selling. When you sell the player, don’t set the highest price, especially if there are a lot of those players on the transfer list as you’ll get no traction in the marketplace and will sit with these players for a long time. Other FIFA gamers will just buy the cheapest ones, and you will never sell your card. Also, don’t set the lowest price, unless you’re in hurry because your goal is earning coins not donating players. Set the price a bit lower than average, that’s the best way to go because you will not wait for long to sell a player, and will earn some extra coins. Alternatively, when you are buying players you should always look for the cheapest players. Check whether the players you are buying are fit and how many games are left. Sometimes it is more profitable to buy more expensive player with a better contract and physical condition because you don’t have to spend additional coins on consumables. This one is simple. TOTW (Team of the Week) cards are valuable and if they don’t suit your style, don’t build a new game plan around them, instead, sell them. Football is a team game and it is always better to have three or four 84,85 rated players than one rated 89. As previously mentioned, you should do SBC, because they can give you rewards that are worth your effort. You will get huge packs and top UT cards. So don’t be afraid to invest a few coins in SBC because it will pay off. Having a good game plan is half of the work. FIFA 19 has many new features which allow you to pick your style. The old system was more customizable, but it was annoying to see the players not doing what you want. The new system involves AI more in your game and that’s a good thing because players will behave mostly as you want, so you should use that. You can choose whatever you want, you can attack, you can park the bus, but be sure that you have the right players for that. Here are some tips for particular game styles. If you are a fan of parking the bus or simply defensive style of football, you need to know that it requires a lot of patience. You will lose so many duels in the attack (considering you will use a lot of long balls) and that can be annoying. However, that may be effective as well. Several formations suit this style. Formation depends on whether you want to play counter-attacks or rather a slow build-up. Let’s talk about the choice of players that are compatible with this style. Of course, you need to have a rock-solid defense. You need at least on tall center-back and good defensive side-backs. Defensive midfielders are crucial. Players like Matic and Busquets are mandatory. Wingers also matter. You need wingers with good stamina because they need to get back in defense a lot. You also need a striker that is able to hold the ball and to finish half-chances as well. So when you are picking a striker for your squad, be sure that his shooting skills are on a high level, without them you are not going to have any chance to win the game. Be sure that your lines are not too spread, nor too narrow. You don’t want to open up the lines, nor to get outflanked. If you love to control the game then you need players with good passing and dribbling skills. Most of these players are coming from Spain and Italy, and you can find very cheap players with skills that you need. For example, Adem Ljajic is a player with good dribbling and passing skills and he is not so expensive. There are a bunch of similar players out there. They also need to be agile because you don’t want a player who needs 10 seconds for reaction. Pick short players and have a balance. If you have too many short players you will concede goals from corners and free-kicks easily. Choose strong center-backs and at least one strong midfielder. He doesn’t have to have the best passing stats, let him be there to win duels and balls for you. You can also pick some magicians in the last third, but don’t exaggerate as you need someone to score goals. Strikers don’t have to be good with the ball, choose some strikers with a good flair. Thanks to the new FIFA system you don’t have to figure out what is the best set-up for possession style. Be sure that there is enough space on the pitch, don’t set instructions for both wingers to cut inside, you need them on flanks sometimes so take care of that. The most interesting style of football is definitely attacking style, but without good defense it is worthless. Don’t focus only on attacking, take care of your back line. Bucharest champion, F2Tekkz plays attacking style but he knows how to defend. More: F2Tekkz is ultimate champion of the FUT Champions Cup Bucharest 2018! Be sure that you have enough defensive resources. Two center-backs are not enough to keep your sheet clean. Have at least one defensive midfielder, and set instructions for him on – Stay at defense while attacking. Most importantly, pick one player with good interception skill to steal balls for you. Medel, Kante and players like them will do the job. Spread your lines enough so you can choose whether you want to pierce through the middle, or to attack from the side. Having two or three players with good shooting skills is mandatory. 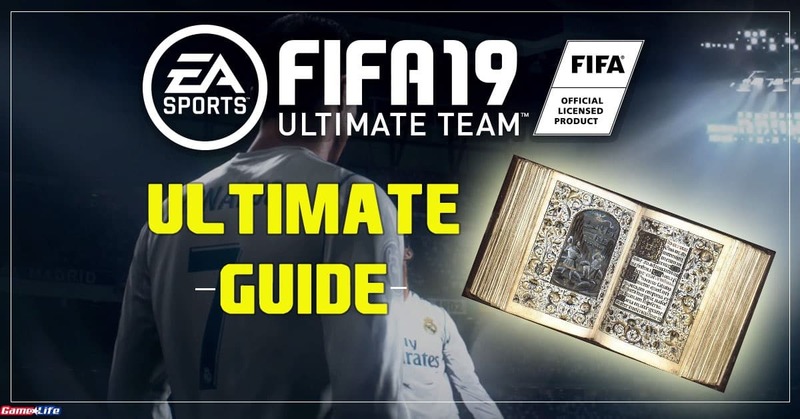 Hopefully this FIFA 19 Ultimate Team Guide will help you accelerate your game and compete with the best in the world!